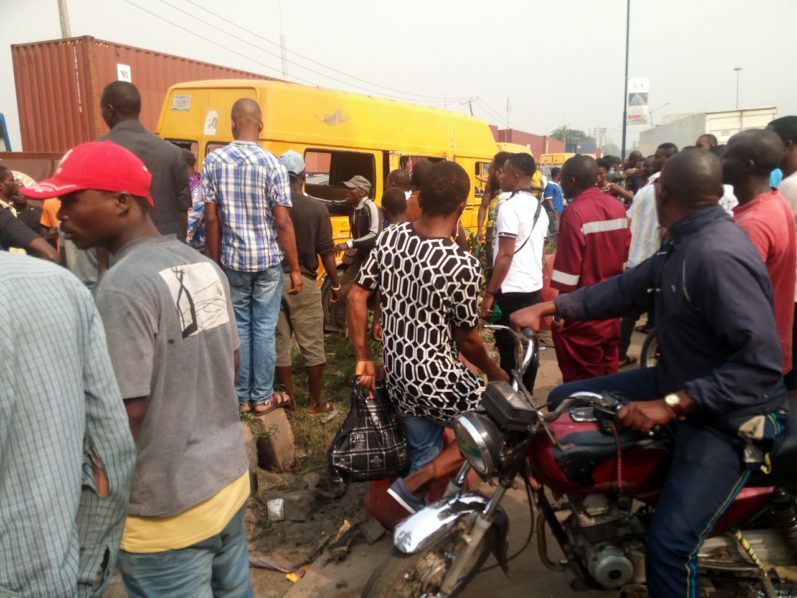 A commercial motorcyclist Monday morning was knocked down by a commercial bus driver at Toyota end of Apapa-Oshodi Expressway. An eyewitness told The Guardian that the rider died almost immediately. 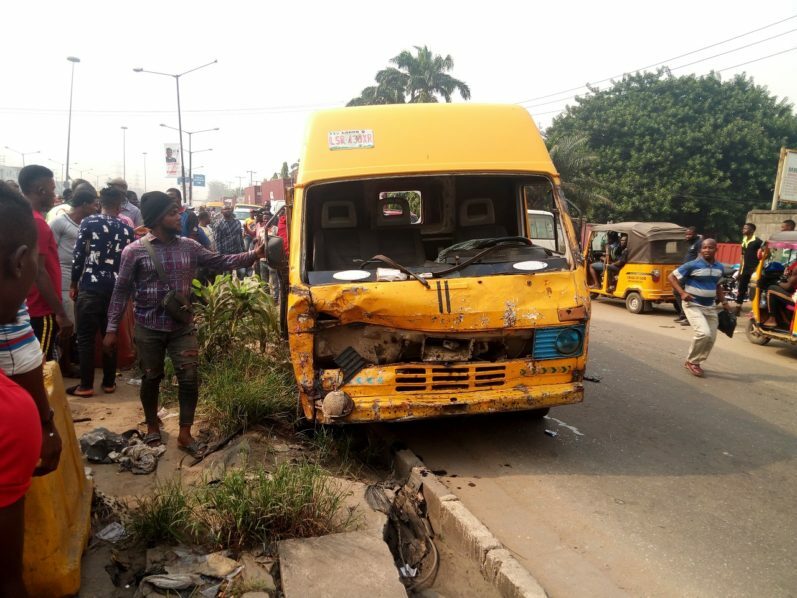 The motorcyclist was riding from Toyota inward Iyana-Isolo on the service lane, while the bus, marked LSR 438 XR, was heading towards Oshodi. It was alleged that the bus driver immediately ran away leaving behind the bus to avoid the wrath of other motorcyclists. An angry mob has, however, destroyed the bus and was in an attempt to burn the bus before the intervention of the men of the Nigeria Police Force.